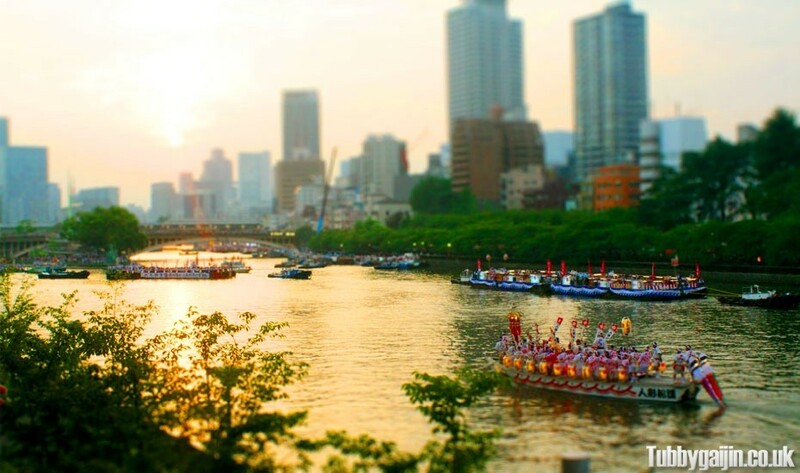 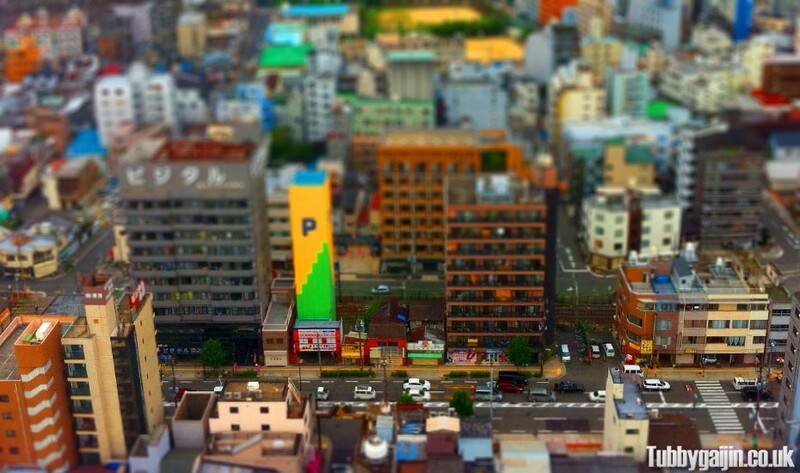 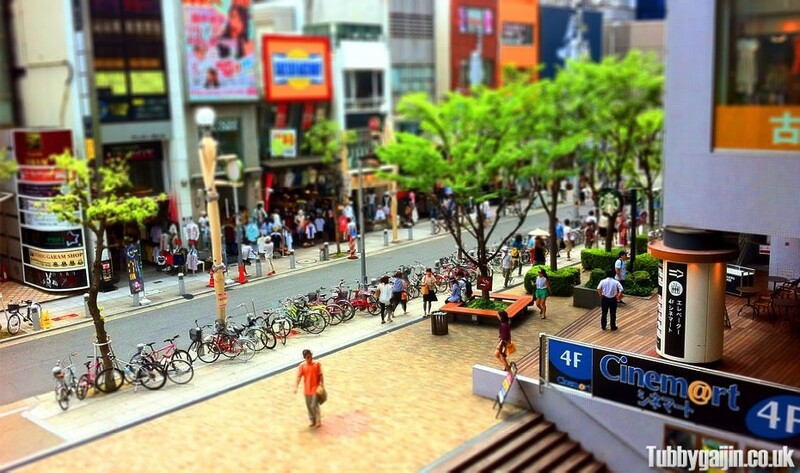 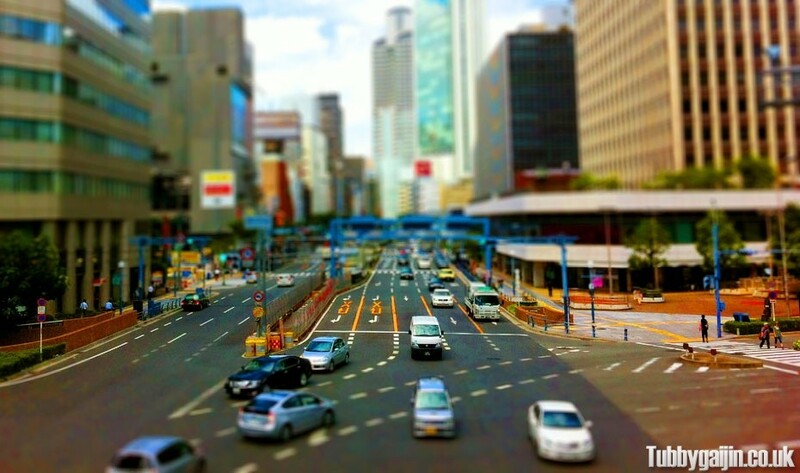 If you’ve visited my site before you’ll know I’m quite a fan of tilt-shift photography, however it’s been over a year since I last posted on the subject… so when one of my tilt-shift posts passed 3k pageviews recently, it inspired me to turn Osaka all toytown! 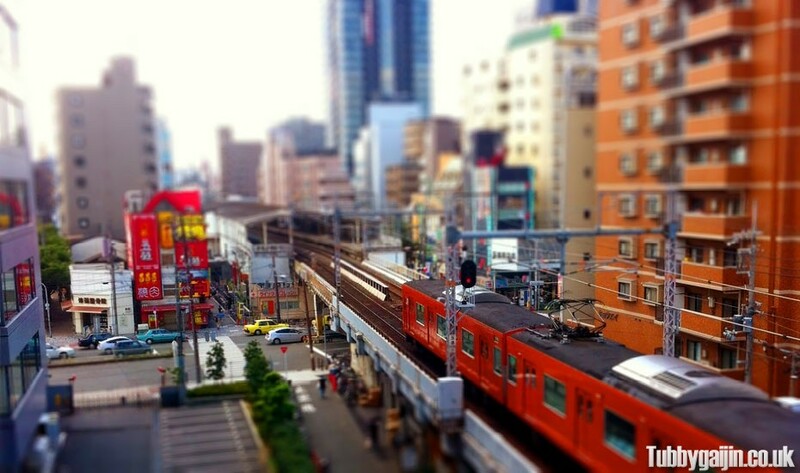 The photo above was taken in the Tamatsukuri area of Osaka, looking down onto the loop line(Osaka’s Yamanote equivalent). 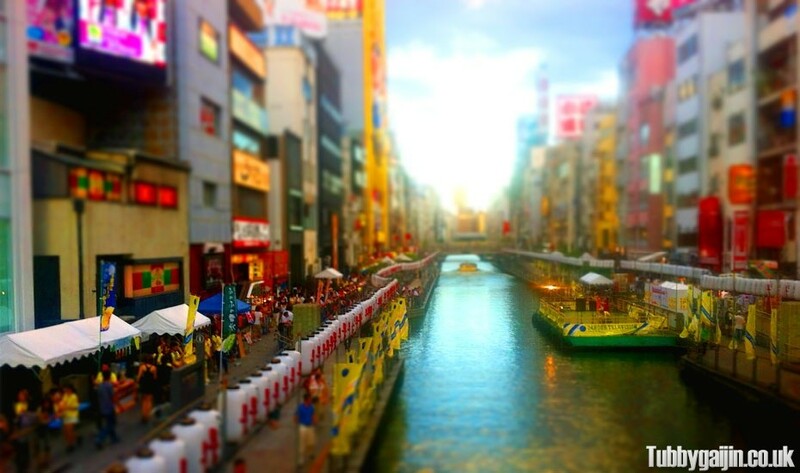 Dotonbori River, the low-angle limits the effect on this shot, but I still love the colours. 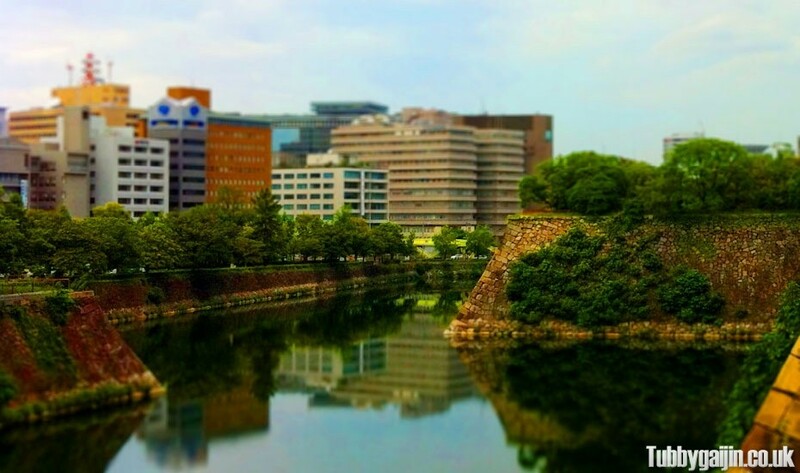 Osaka Castle moat, the detailing on the walls and the water reflections really make the shot for me. 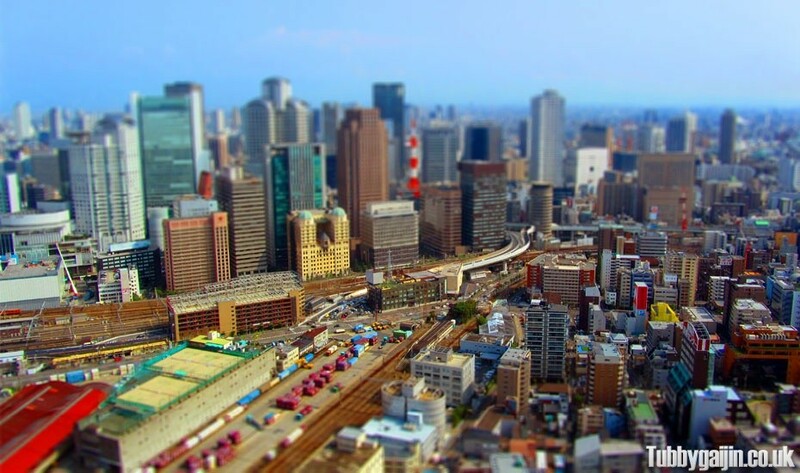 Finally, a second shot from Tsutenkaku tower pointing southeast. 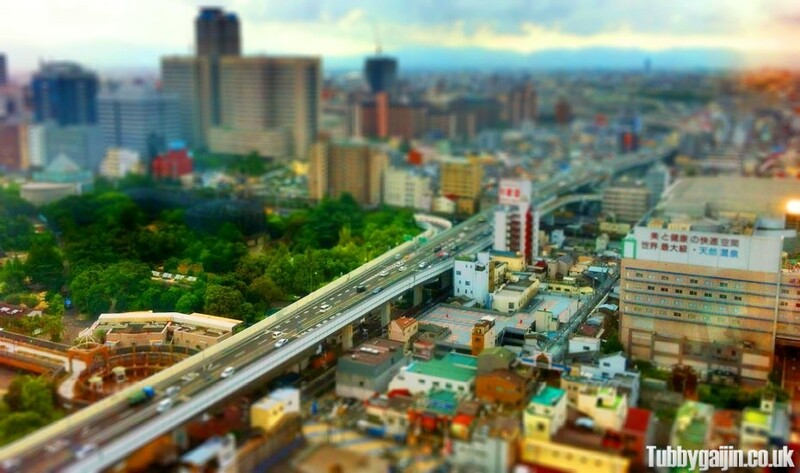 All the greenery on the left is Tennoji Zoo, a bit too close to the highway if you ask me. 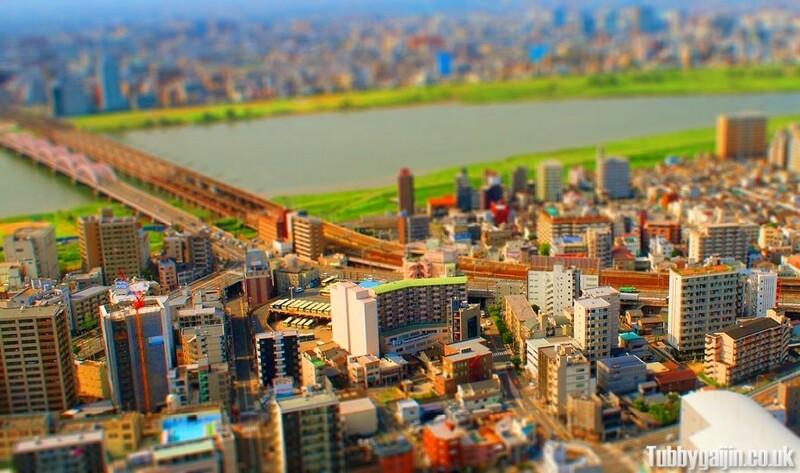 Hope you enjoyed seeing Osaka in minature!